PHOTO: Allen Ramsey, DWCPhoto.com. Highlands sophomore Morgan Coffey goes in for a score in a recent game. The Highlands Ladybirds basketball team showed why it is a team Friday in the La Rosa's Holiday Classic at Conner. 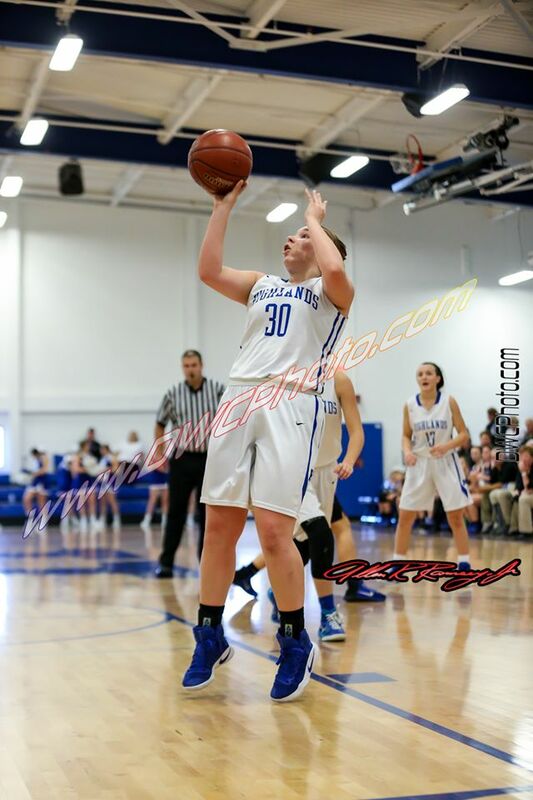 Sophomore Zoie Barth did not play because of sickness. But her teammates picked up the slack recording 17 steals on their way to a 73-29 demolition of the Lexington Lafayette Generals (8-4) to take third place in the tournament. Highlands (9-3) forced 24 turnovers and committed just 10 on four Lafayette steals. PHOTO: Allen Ramsey, DWCPhoto.com. 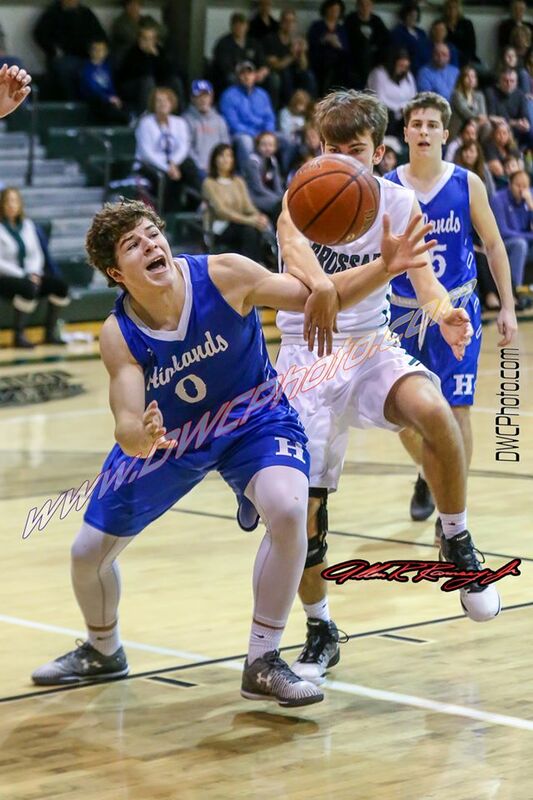 Highlands junior Elliot Schuett (0) pursues the ball in a recent game. Highlands won its fourth game Thursday against Hart County. 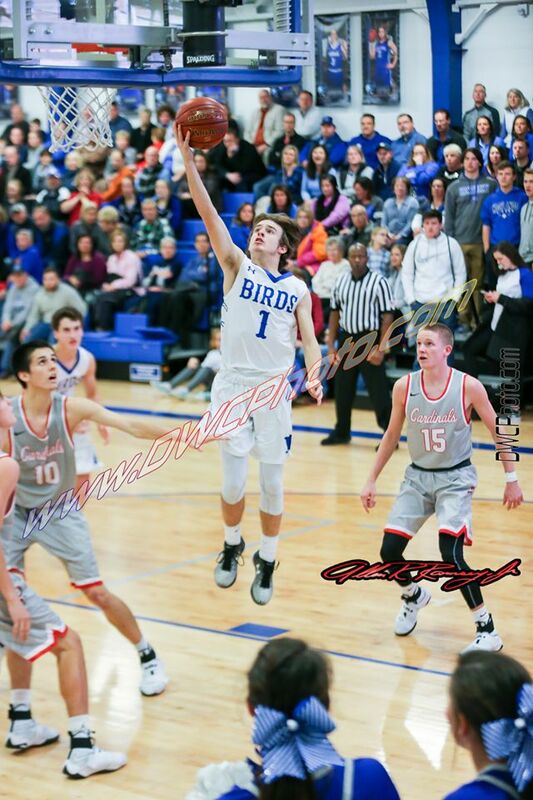 Teams have had success forcing the Highlands Bluebirds basketball team (4-8 overall) into an up-tempo style. 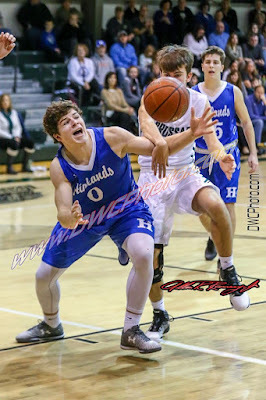 But on the second day of the Magnolia Bank Holiday Classic at LaRue County on Thursday, Highlands did that to the Hart County Raiders (1-8) recording 15 steals and 14 assists on its way to a 77-39 victory. The Bluebirds led the 5th Region opponents, 52-23 at halftime. PHOTO: Allen Ramsey, DWCPhoto.com. Highlands junior Brooke Dill goes in for the score in a recent game. 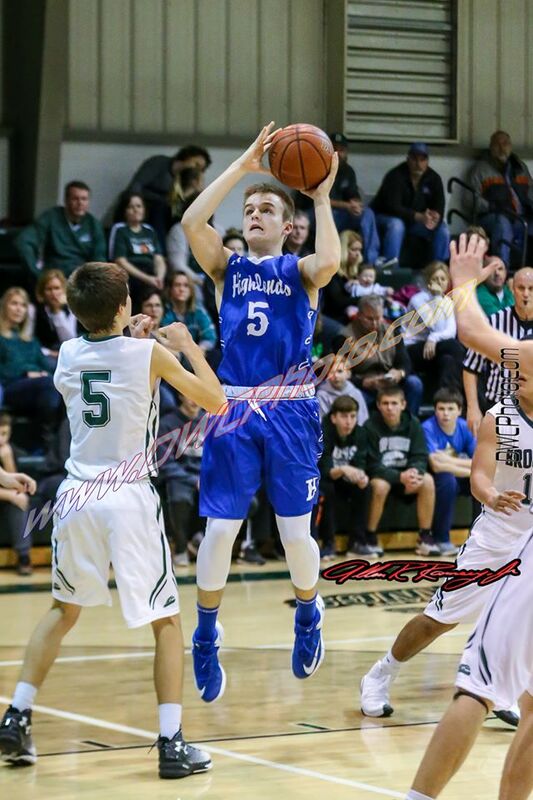 Highlands edged Nelson County, 52-51 in the first round of the LaRosa's Holiday Classic on Wednesday. It did not surprise anyone this game saw the winner come away by the slimmest margin possible. The Highlands Ladybirds basketball team (8-2 overall), ranked 17th in the latest BluegrassPreps Top 20 poll, edged the 19th-ranked Nelson County Lady Cards (9-1), 52-51 to open the annual LaRosa's Holiday Classic on Wednesday. Highlands won its seventh in a row and knocked Nelson County from the ranks of unbeaten as a result. PHOTO: Allen Ramsey, DWCPhoto.com. Highlands senior Rachel Vinson lets one go in the win over Bellevue on Thursday. 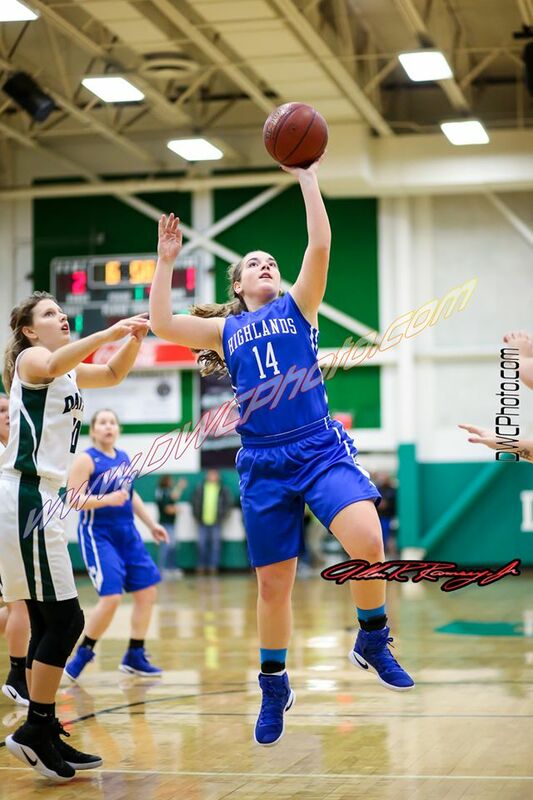 Highlands moved to 7-2 on the season with a 76-41 win at Ludlow on Friday. 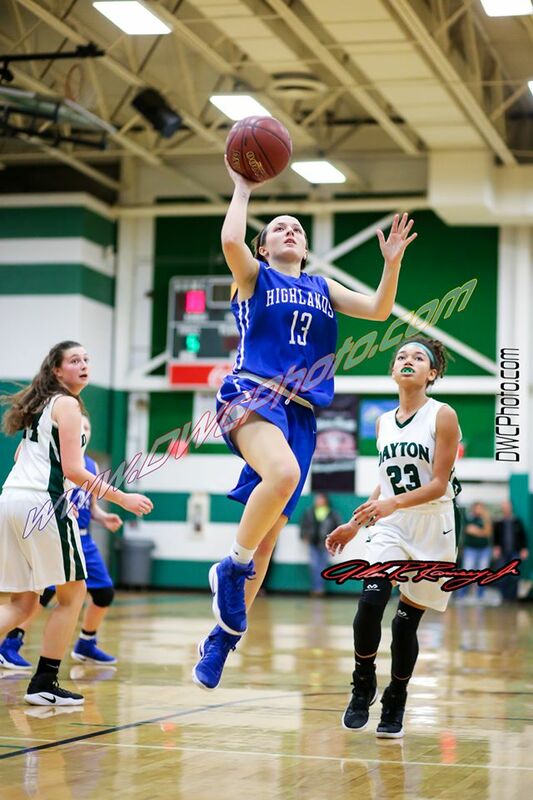 The Highlands Ladybirds took advantage of the final opportunity for a win before Christmas with a 76-41 thrashing of the host Ludlow Lady Panthers on Friday. PHOTO: Allen Ramsey, DWCPhoto.com. Former Highlands Ladybirds basketball players received recognition Thursday. Two district wins during the regular season often mean avoiding the four-five seed elimination game in the 36th District Tournament in late February. With two district games remaining, the Highlands Ladybirds (6-2 overall) took that big step with a 54-33 win over the visiting Bellevue Lady Tigers (5-4) on Thursday. Highlands moved to 2-0 in district action and 3-0 in 9th Region play. PHOTO: Allen Ramsey, DWCPhoto.com. Highlands junior Robby Gabbard goes up for a shot in a recent game. 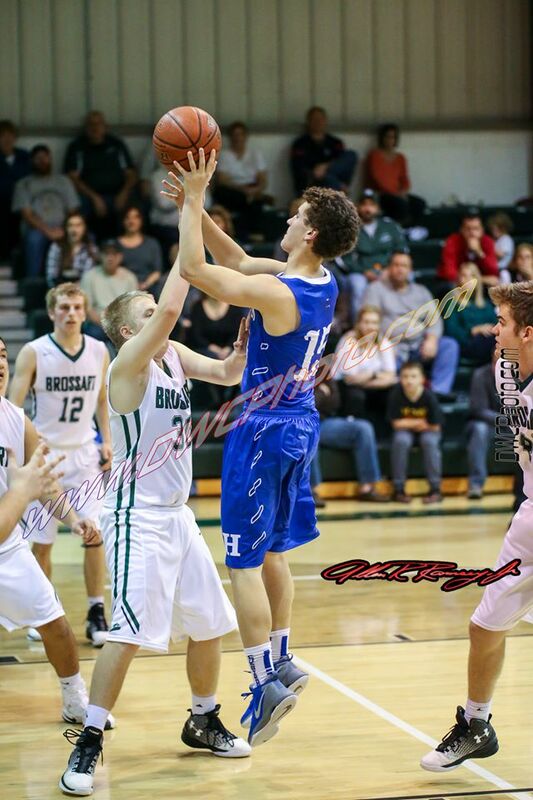 Gabbard scored 10 as Highlands lost 89-65 to Simon Kenton on Wednesday. 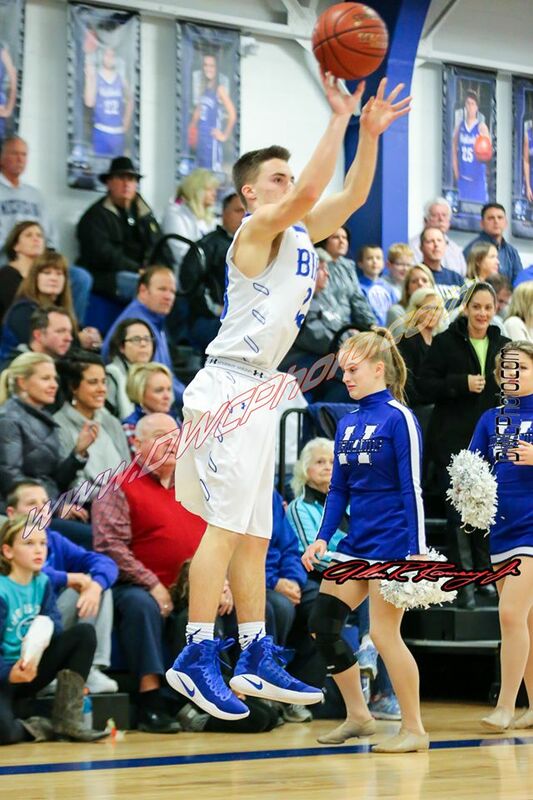 The Highlands Bluebirds basketball team (2-6 overall) ran into a balanced 6-1 Simon Kenton Pioneer squad Wednesday and lost 89-65 in the first round of the Simon Kenton Invitational. PHOTO: Allen Ramsey, DWCPhoto.com. Highlands junior Griffin Huber puts up a shot against Bishop Brossart on Saturday. Highlands beat the Mustangs, 61-29 snapping an eight-game losing streak in the series dating back to 2007. 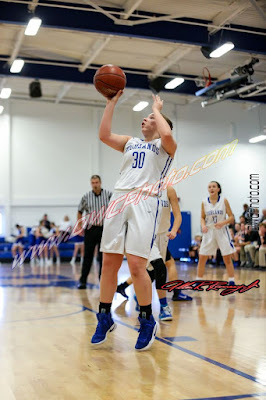 The Blue and White has shown it is on the verge of some great things this basketball season. 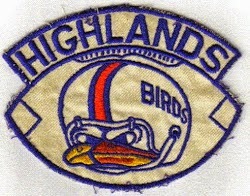 The Highlands Bluebirds (2-5 overall) had just been short in key areas of the game and it cost them the tight ones. But they put together a complete game Saturday and dominated the county rival Bishop Brossart Mustangs (1-7), 61-29 in Alexandria. Highlands snapped a two-game losing streak overall and eight-game losing streak against Bishop Brossart dating back to a 64-40 win over the Mustangs in Fort Thomas on Dec. 23, 2007. PHOTO: Allen Ramsey, DWCPhoto.com. Highlands sophomore Ashley Hayes (middle) scores in transition while teammate Rachel Vinson (25) follows the play. 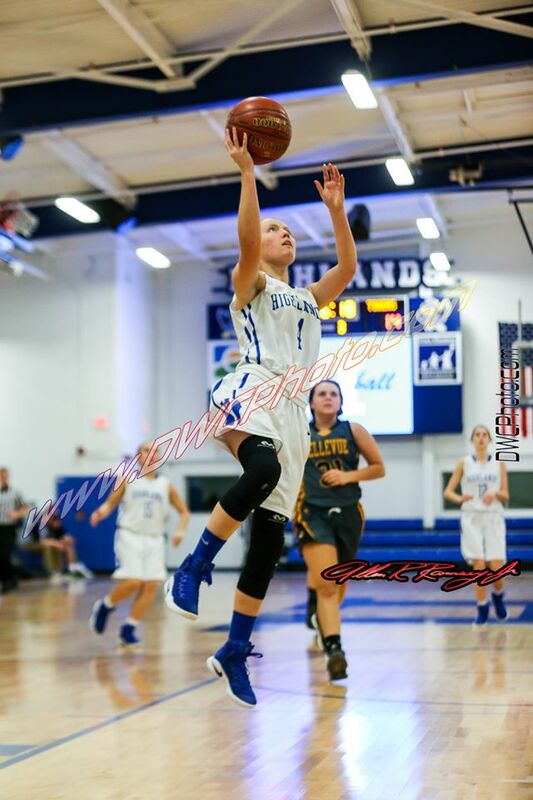 All 12 Ladybirds who saw action scored at least one point in the convincing 77-21 win over Bishop Brossart on Friday. It often comes down to several minute of solid offense and defense to decide a ballgame. But when you get it for an entire quarter to start the game, it sets a great tone for the rest of the game. The Highlands Ladybirds basketball team did not allow a point until 20 seconds into the second quarter. By that time, Highlands put 19 on the board and continued to roll forward to its most complete game of the year in a 77-21 thrashing of the Bishop Brossart Lady Mustangs on Friday. PHOTO: Allen Ramsey, DWCPhoto.com. Highlands senior Bryce Traylor looks to make a move in a recent game against St.Henry. 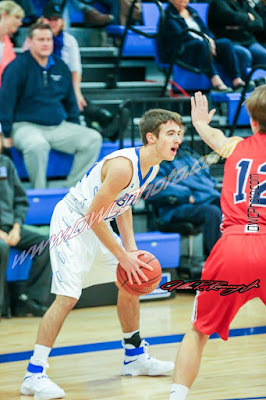 Traylor had 15 points in the 70-62 overtime loss at Walton-Verona on Thursday. The early end results may be similar to the recent past. But the 1-5 record of the Highlands Bluebirds basketball program do not reflect the tremendous improvement shown this season. The 70-62 loss at the Walton-Verona Bearcats (4-3 overall) on Thursday is another example. PHOTO: Allen Ramsey, DWCPhoto.com. 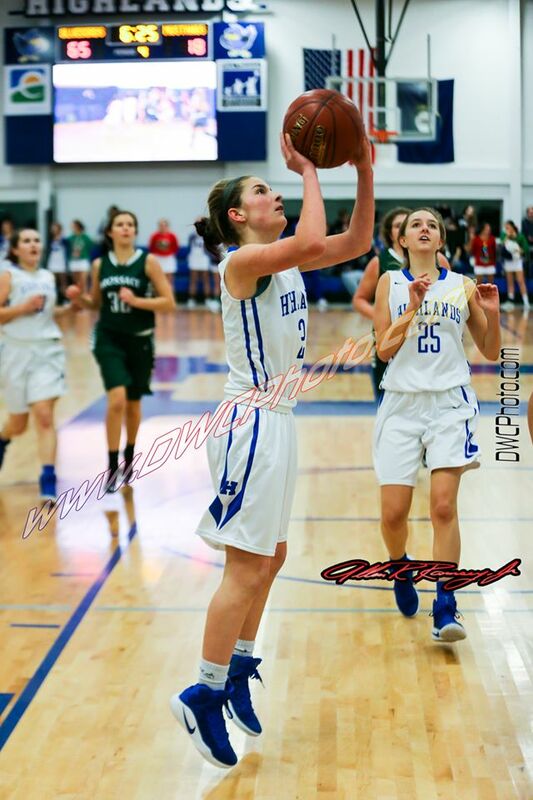 Highlands senior Emma Little takes a shot in a recent game. 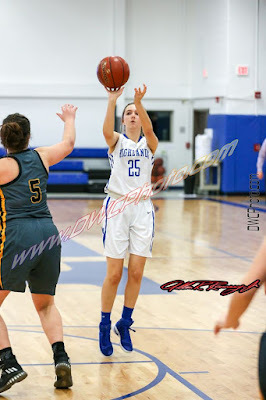 The Highlands Ladybirds basketball team (4-2 overall) earned its third straight victory with a 54-36 road win over the Conner Lady Cougars (5-1) on Tuesday. PHOTO: Allen Ramsey, DWCPhoto.com. Highlands junior Braden Posey goes in for the score against South Laurel on Friday. Posey had 10 assists, six points, four steals and four rebounds helping Highlands to its first win of the year over St. Henry on Saturday. 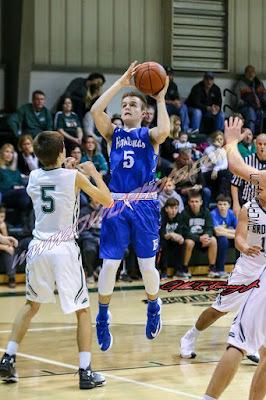 The Highlands Bluebirds basketball team (1-3 overall) earned its first victory of the season with a 65-49 win over the visiting St. Henry Crusaders. PHOTO: Allen Ramsey, DWCPhoto.com. Highlands junior Jacob Noe fires off a shot against South Laurel on Friday. Highlands lost 67-59 to the visitors from the 13th Region. The Highlands Bluebirds basketball team continues to stay within striking distance of opponents despite its 0-3 record. The Bluebirds dropped the home opener, 67-59 to the visiting South Laurel Cardinals (5-0) from the 13th Region. The three losses have come by an average of six points. PHOTO: Allen Ramsey, DWCPhoto.com. 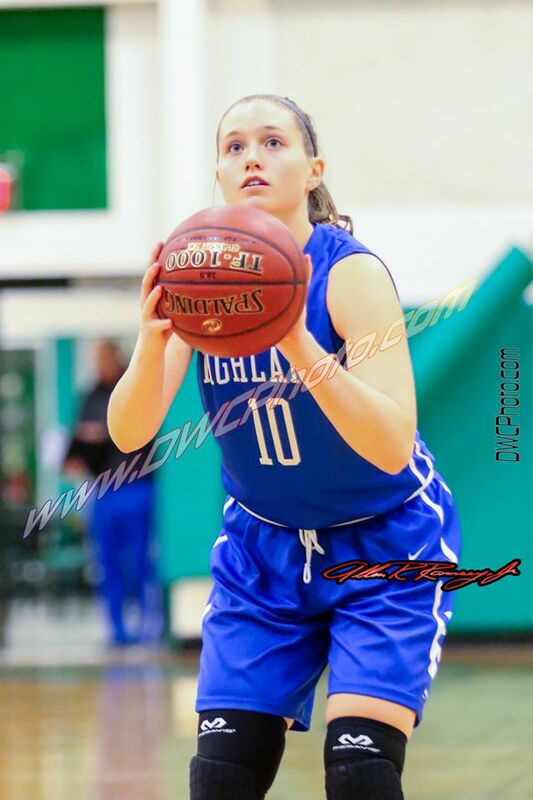 Highlands senior Lauren Epperson prepares to shoot a free throw in a recent game. 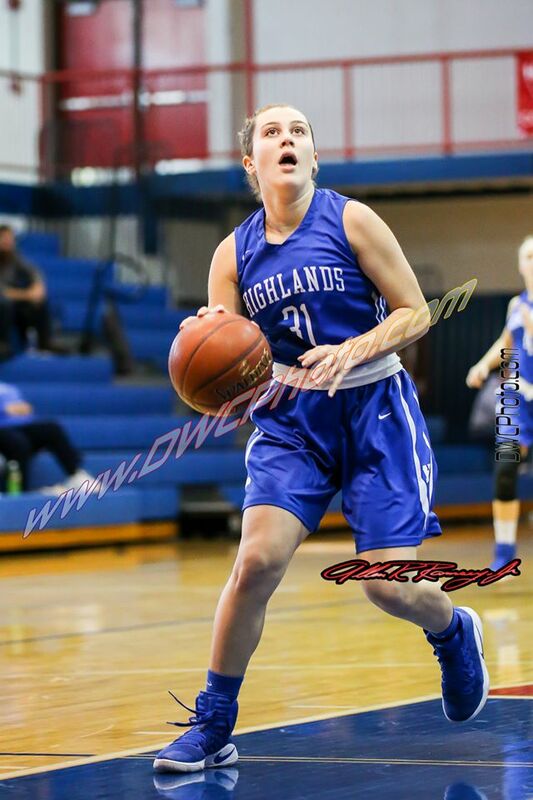 Epperson had 10 points and eight rebounds in Highlands' 55-39 road win at Walton-Verona on Thursday. The Highlands Ladybirds basketball team (2-2 overall) saw more improvements on their weaknesses in a 55-39 road win over the Walton-Verona Bearcats (4-1). PHOTO: Allen Ramsey, DWCPhoto.com. Highlands senior Jenna Martin (13) goes in for the score against Dayton on Fridcay. The Highlands Ladybirds came up just short against the Plainfield (Indiana) Quakers, 61-55 at Dixie Heights on Saturday. 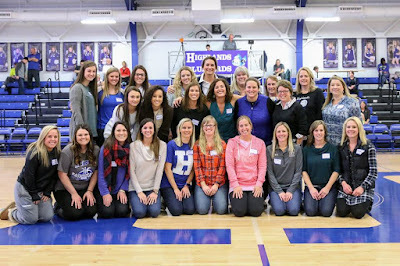 The game took place as part of the Hoops for Harvest Classic. PHOTO: Allen Ramsey, DWCPhoto.com. Highlands sophomore Zoie Barth (14) goes in for the score during Friday's 36th District game at Dayton. Barth scored nine points and had seven assists in the 76-33 victory. The Highlands Ladybirds basketball team (1-1 overall) dominated the Dayton Lady Devils, 76-33 in the 9th and 36th District opener Friday.